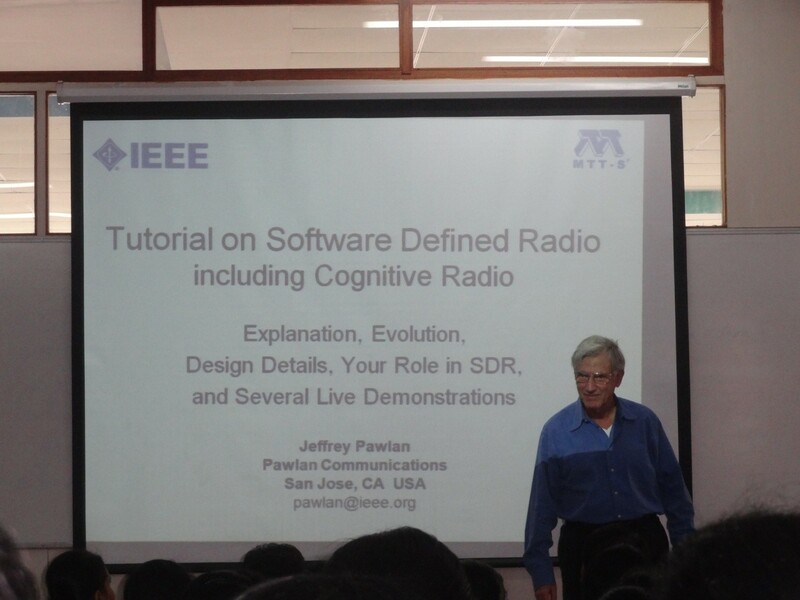 TOPIC: Software Defined Radio for Microwave Engineers. DATE & TIME: 13th January, 2014 at 11:15a.m.to 1:15p.m. VENUE: Don Bosco Institute of Technology, Mumbai. TARGETED AUDIENCE: TE, BE EXTC. The session began with a short welcome note by Dr. S. S. Mande who also introduced Dr. Jeffrey Pawlan to the audience. The Technical talk began with the definition, history and evolution of Software Defined Radio (SDR). All the analogies with respect to conventional classic radio systems and components are very well explained by Dr. Jeffrey Pawlan. He has introduced the concepts of over sampling and under sampling as it applies to SDR. He later introduced and explained the firmware and software portions of SDR and also showed a comparison of it with state-of-the art conventional analogue circuitry. A live demonstration of SDR was presented. Software Defined Radio (SDR) is the culmination of advances on several fronts and probably the most significant area of development in radio systems today. The entire worldwide cellular system uses SDR. NASA and the US military communications are now almost exclusively using SDR. Soon new automobile radios will be SDR to accommodate multiple modulation formats. 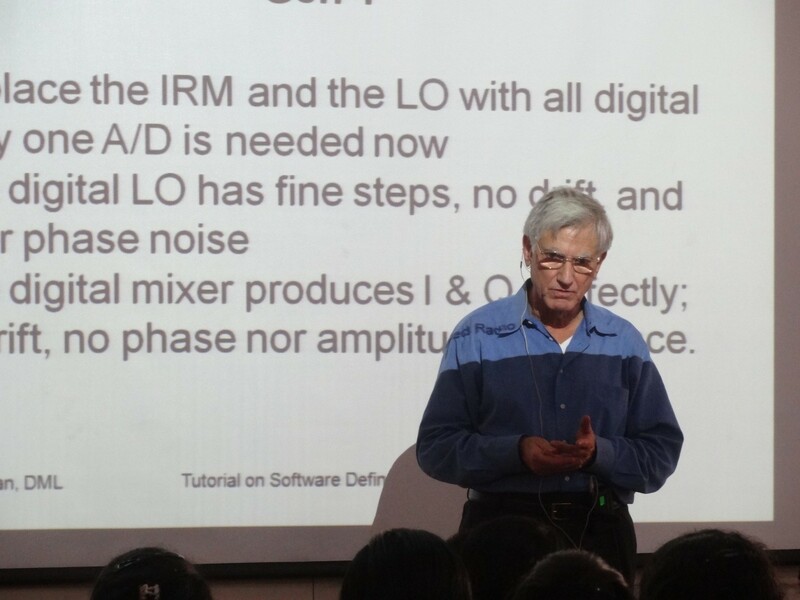 Dr. Jeffery highlighted the role of an RF/Micrwave engineer in the growing field of SDR thus motivating the young students to take up these courses.